home › posts › 5 Incredible Hikes in Hawaii ten trees planted for every item purchased. 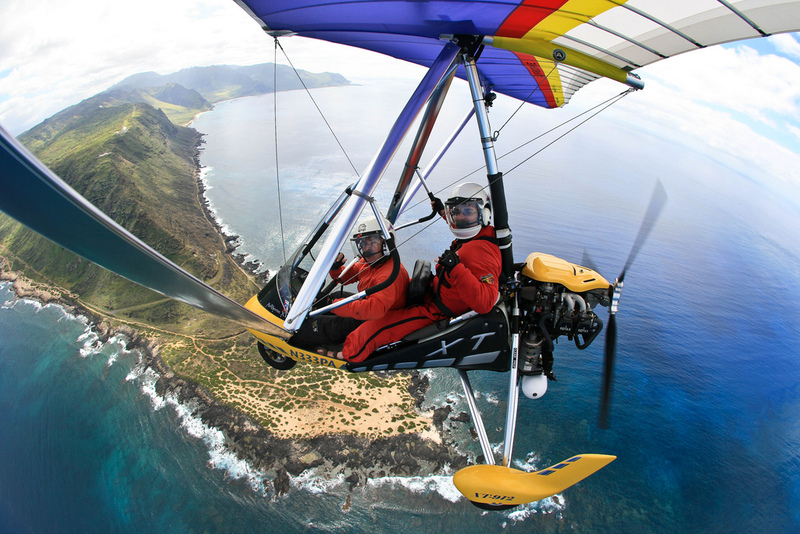 Hawaii is a vast and wonderful playground for the adventurous spirit. It's wildly diverse ecosystems are tenaciously loved and cared for by the locals, as much of the land is considered to be highly sacred. Like minded travelers can revel in the natural beauty on countless world class hikes. There's something for all skill levels and none will disappoint, but to help narrow down your choices, here's a top five list of some of the local's most treasured hikes. 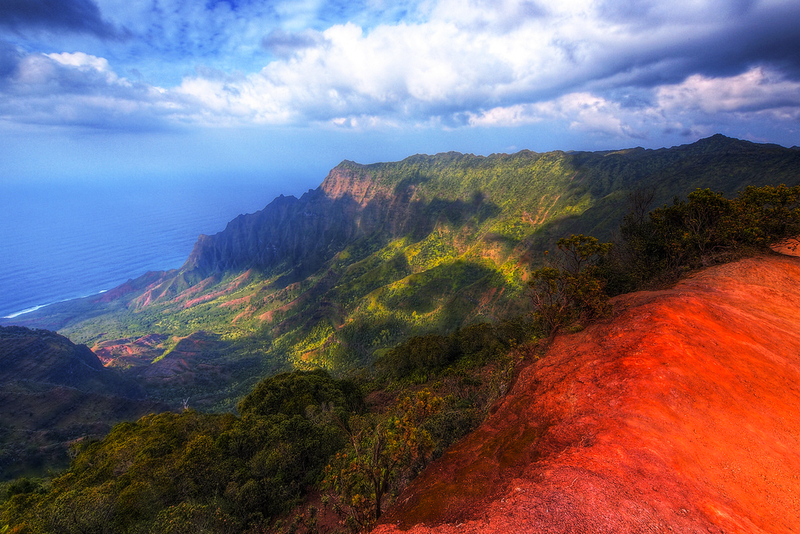 The Kalalau Trail on Kauai is regularly listed as on one the best hikes on the planet and it's easy to see why. This 22-mile hike isn't for the faint of heart, but thrill seekers will revel in it's breathtaking coastal views, pristine beach, and a solid sense of accomplishment upon completion. The trail is well traveled and maintained, but can be tricky during wet conditions. Dry season runs from May to September. It gets hot during the day, regardless of the season so make sure you stay hydrated. Wear a light tank top to help keep you cool. After making the hike through five different valleys, you'll be tempted to go for a swim upon your arrival at Kalalau Beach. It's a great place to camp, but it's not worth the risk of getting in the water. Dangerous rip tides have carried far too many adventurers out to sea—don't get in the water here, even if it looks perfectly safe. This is another grueling feat, but the payoff at the top of the trail is one of the most scenic overlooks on Oahu. Those fit enough to attempt the climb the 1,050 steps up a stairway that's nestled into the side of a 1,208 foot crater. Not only do your legs get more and more tired as make the ascent, but the steps at the top get a lot higher—some are about 2 feet high. Once you tackle those, however, you're free to feast your eyes on a spine-tingling 360-degree panoramic view of Oahu. Some choose to tour this impeccably maintained park in the comfort of their vehicle, but the best way to experience Haleakala is on foot. The expansive park boasts over 30 miles of trails on which hikers can witness a wide range of environments ranging from wet forested areas, native shrubland, and cinder desert. Park staff and volunteers work hard to preserve the many habitats which is home to 850 species of plants, as well as the Hawaiian Petrel (?ua?u in Hawaiian) and the N?n? goose, both of which are endangered species. Depending on which trail you ultimately choose to take, make sure you dress accordingly. Given the diversity of the climate zones in Haleakala, the weather can be warm and humid, or below freezing and dry. If you're planning a hike to the summit, where you can see five other Hawaiian islands during clear conditions, be sure to throw a hoodie and coat in your pack to keep you warm. This hike is a perennial favorite among visitors to the Big Island. You'll descend about 800-feet through a vibrant rainforest as you work way to the next section of this 4 mile long loop trail. At the end of the rainforest, the trail opens up into an old, solidified lava lake that is the result of a huge eruption dating back to 1959. Be prepared for cool, rainy conditions and sunny, hot temperatures as the weather can change on moment's notice. Be sure to wear plenty of sunscreen and a hat to keep the sun out of your eyes as you trek across the black surface of the lava lake where there are no trees to provide shade. This coastal hike is perfect for visitors to Oahu who are looking to escape the hustle and bustle of busy Honolulu. Located on the island's leeward side, this relatively easy hike will take you on a meandering hike through some of the last undeveloped landscapes on Oahu. Follow the trail through the open coastline as you take in the sights of the lush Hawaiian hillside. Keep one on the ocean as you go and you may be lucky enough to spot whales, dolphins, or even a critically endangered Hawaiian Monk Seal. With less than 1,100 monk seals left, the native species is considered to be conservation reliant. There have been multiple monk seal sightings on the trail, so if you happen to come across one, snap a few photos enjoy it from a distance. Take your time to explore all the tide pools as you walk along the trail, but make sure you allot enough time to enjoy the pristine white sand Ka'ena Point beach at the end. Since the only way is by hiking, it's not uncommon to have the whole thing to yourself.